Don’t be stuck out in the cold! 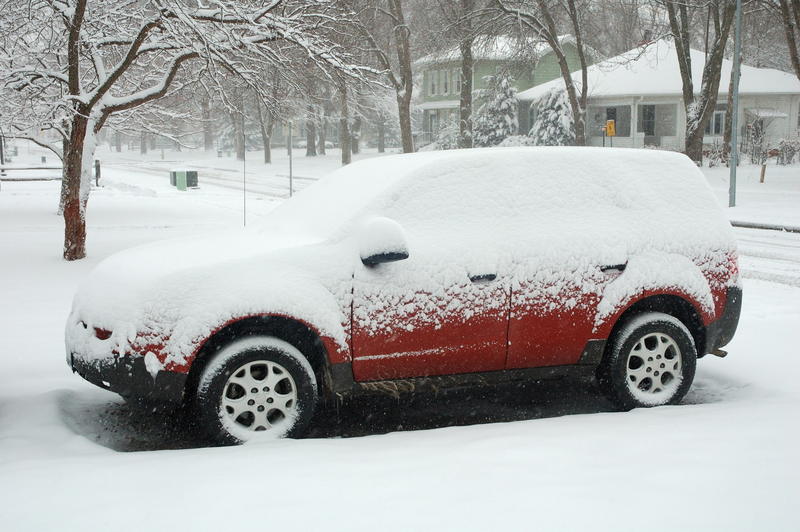 Remote Start Systems are convenient, especially in cold weather, but that’s not the only reason to get one. If you don’t have a remote start already, here are some reasons why it’s a good investment in your vehicle. A remote starter allows you to start your car or truck using a key-fob remote control from inside your home or office. If you left the heat or A/C on, it turns on when the engine does. Your car will warm up or cool down, so it’s comfortable before you get in. Plus no more scraping ice off of the windshield. A warmed-up car thaws the ice on the windshield, too. In warmer weather, seats will be cooled off, and you can touch your steering wheel without getting burned. It’s as easy as a press of a button. Many car experts would agree that allowing the car to warm up for several minutes before driving it can greatly increase the longevity and performance of your engine. Warming your car can improve your gas mileage, too. When you get into your car or truck on a very cold day and just drive off, your engine is working overtime and consuming more gas. Warming it up and thinning the oil for a few minutes can improve your mileage. Remote start systems have safety and theft prevention features built in. Worried someone will drive off with your car or truck while its running? If your car or truck is locked, it will remain locked. And if someone manages to get in, the ignition key must be inserted before driving, if not, the engine will shut off when the brake is pressed. GPS equipped smartphone remote starter models allow you to track your vehicle online. Not only does this provide great security benefits, but it also provides many useful alert features for parents and many other users. Some remote car starters also have even more advanced features that can be activated if a vehicle is stolen or carjacked, which typically sets the alarm off and then disconnects the starter after the vehicle is shut off. A car or truck equipped with a remote start system will fetch a higher re-sale value than a vehicle without one. This is particularly true in areas that experience severe climate conditions. A remote starter can be a very good selling point that will give a car owner leverage and reason to ask for a higher trade-in value from a car dealer. There are more benefits to remote starting your vehicle other than your own comfort. By warming a car or truck that has been sitting out in the cold in the parking lot with snow and ice pelting it from all directions, it makes it way easier to defrost and remove ice and snow from the windows, mirrors, and headlights. Have you ever seen people driving in winter with three inches of snow still sitting on the hood? Don’t be that guy.